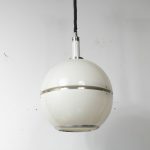 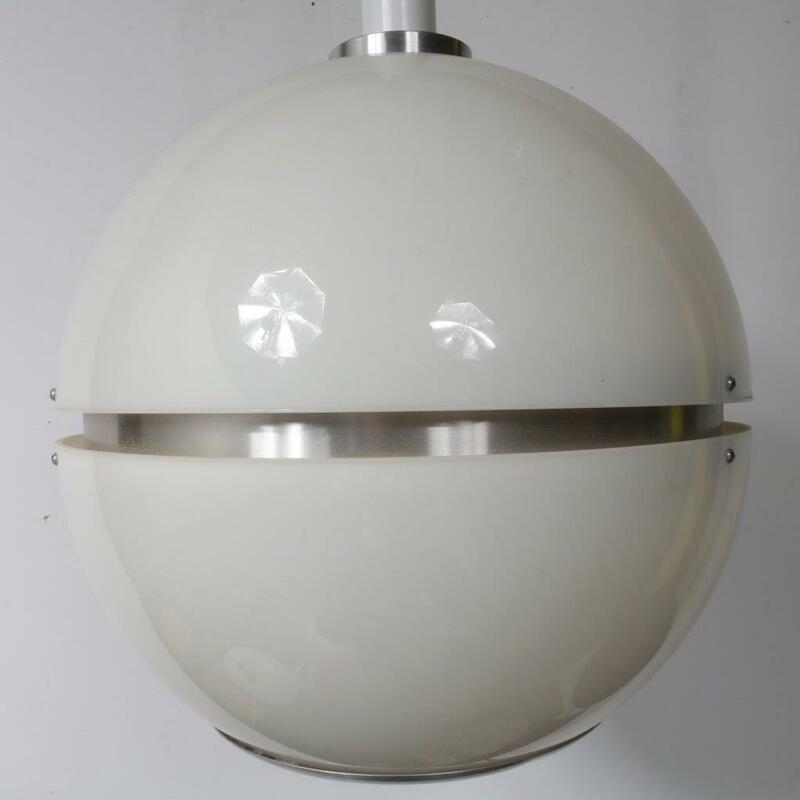 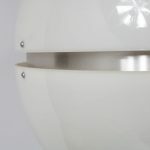 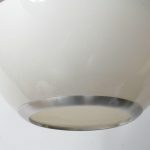 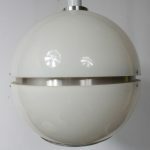 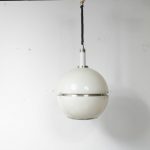 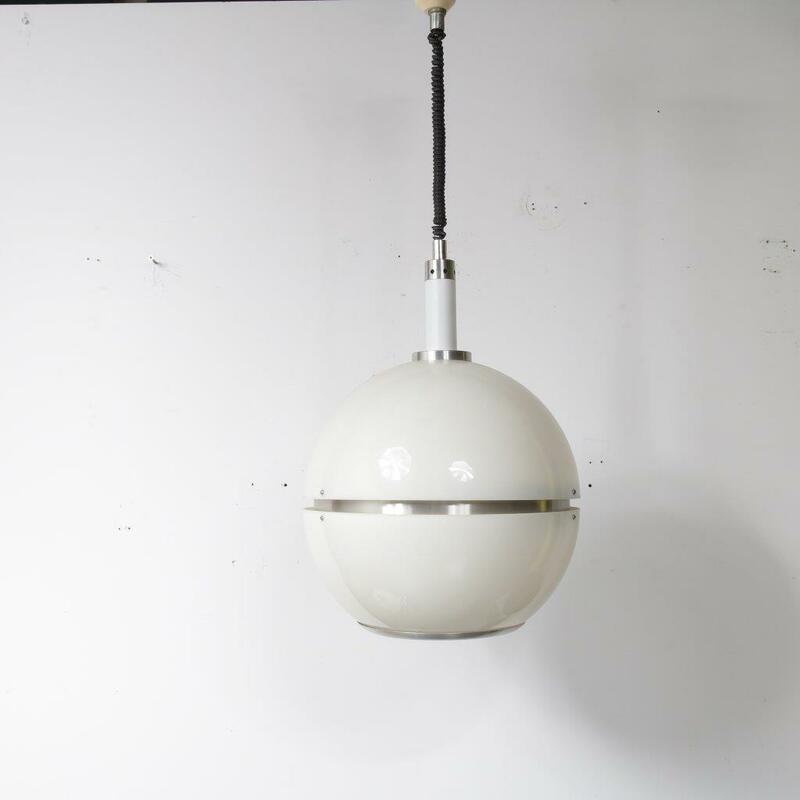 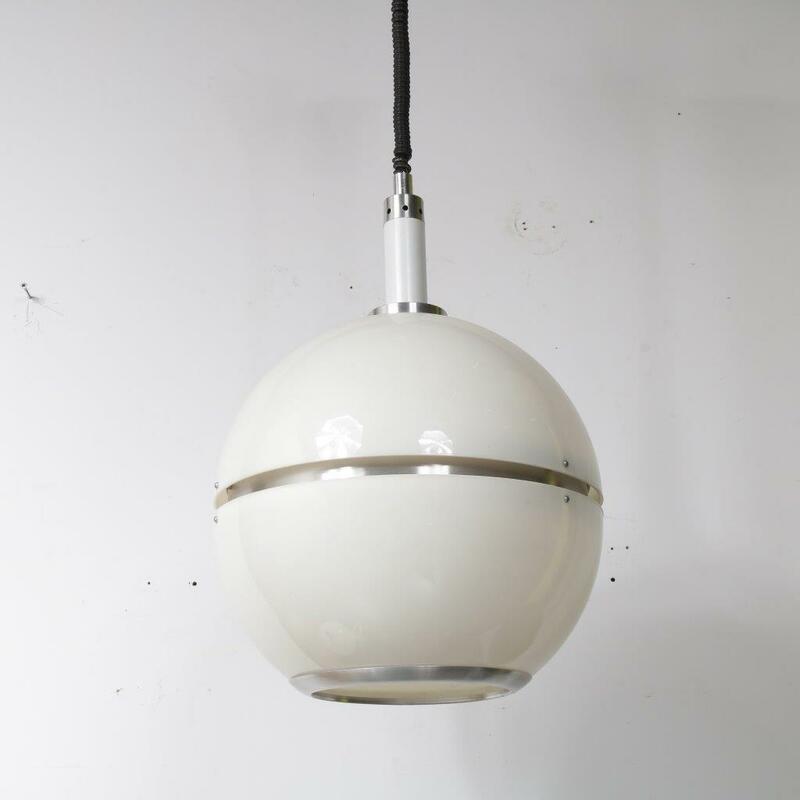 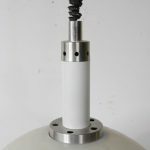 A beautiful large Italian hanging lamp made of white plexiglass in a nice, round shape. 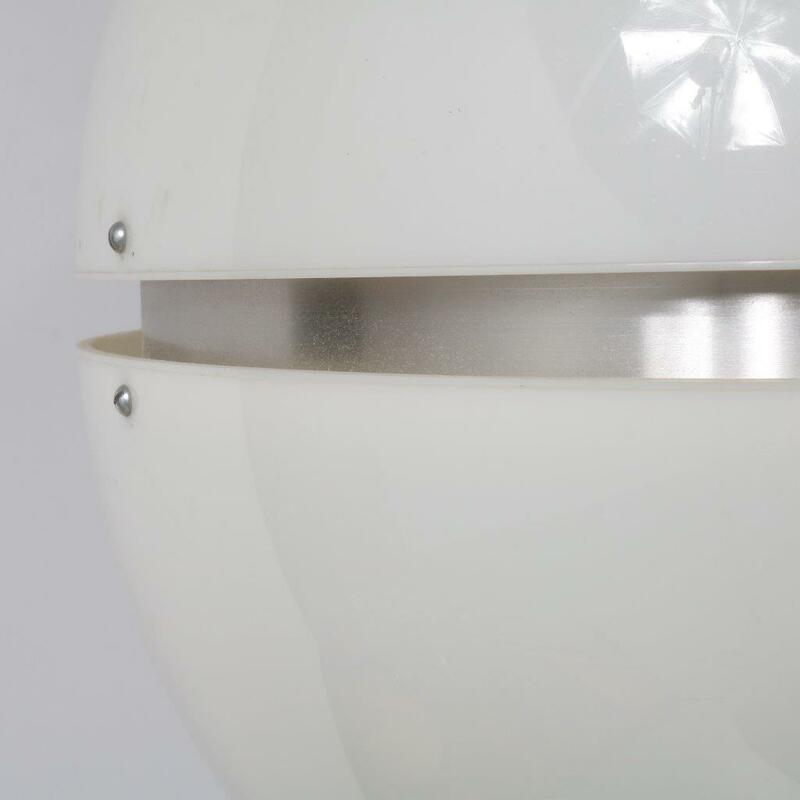 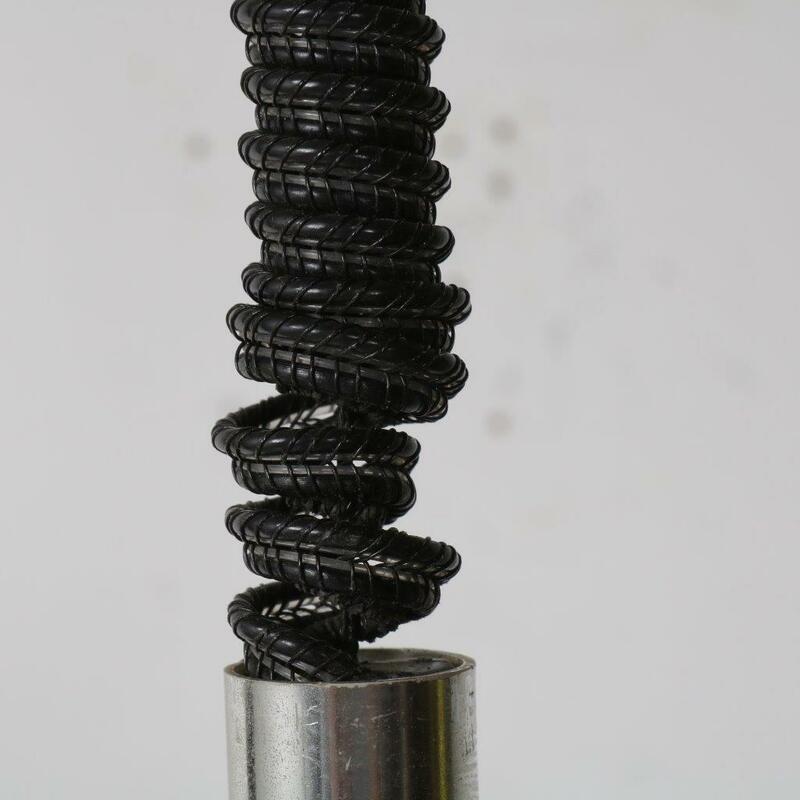 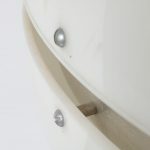 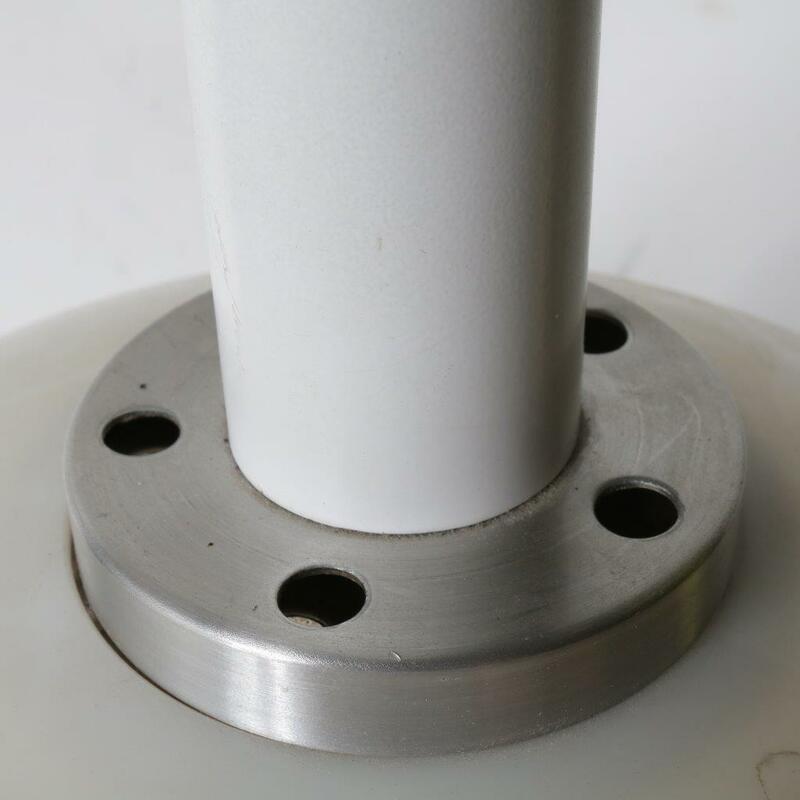 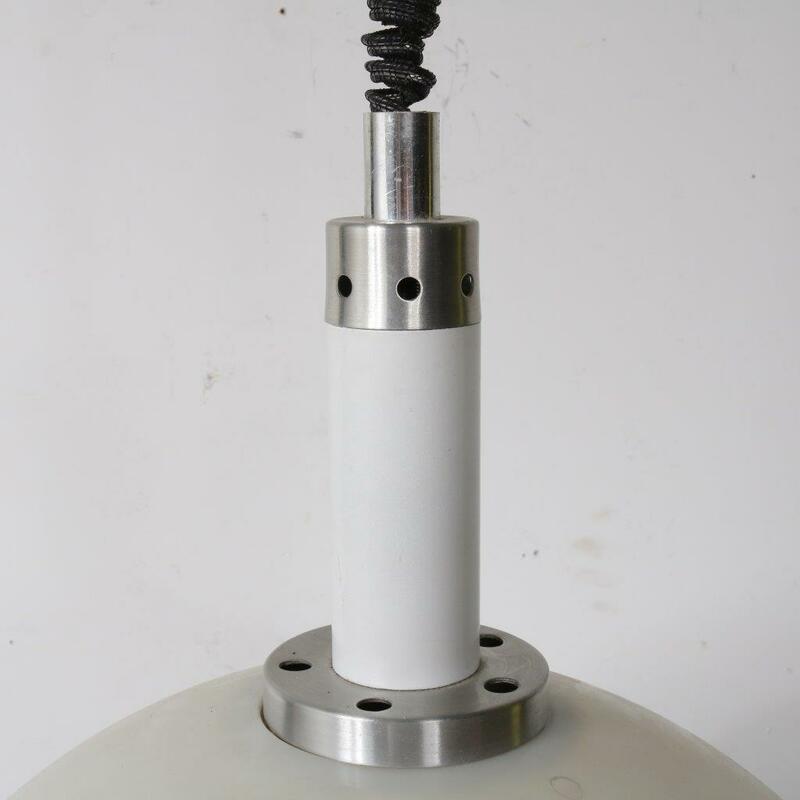 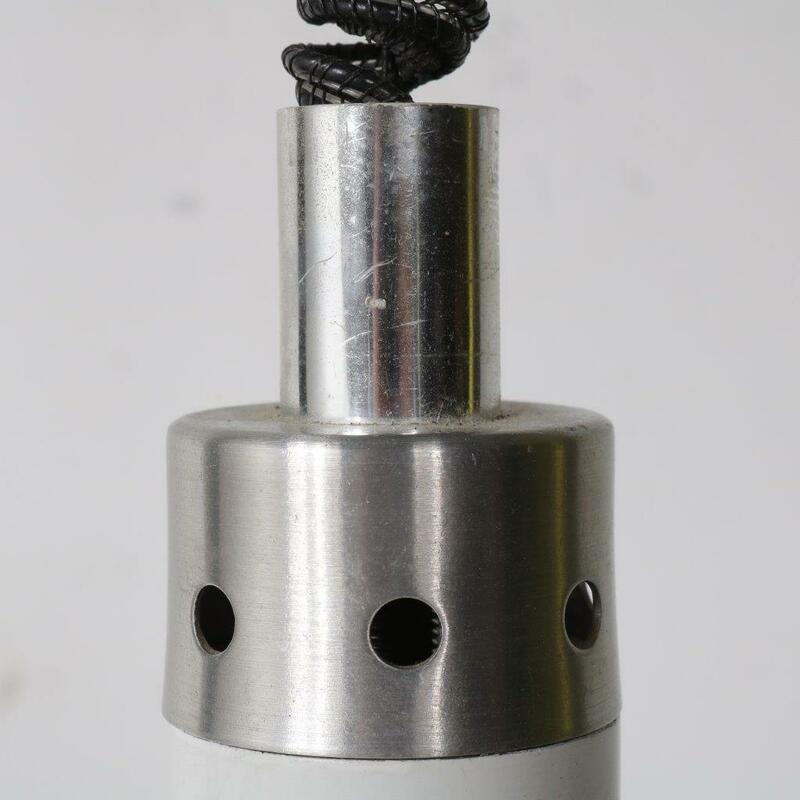 The tops and center of the balls have grey aluminium strips. The combination of plexiglass and metal creates a very nice modern style, and the large size of the piece makes it absolutely eye-catching in the decor! When lit, it emits a nice warm light gently diffused through the plexiglass. 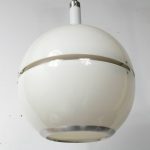 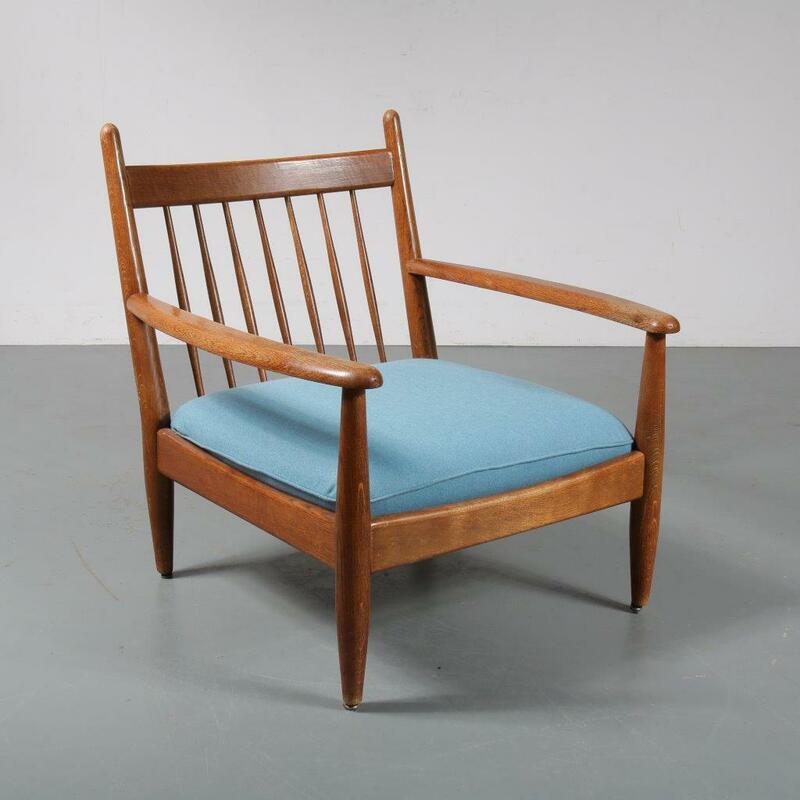 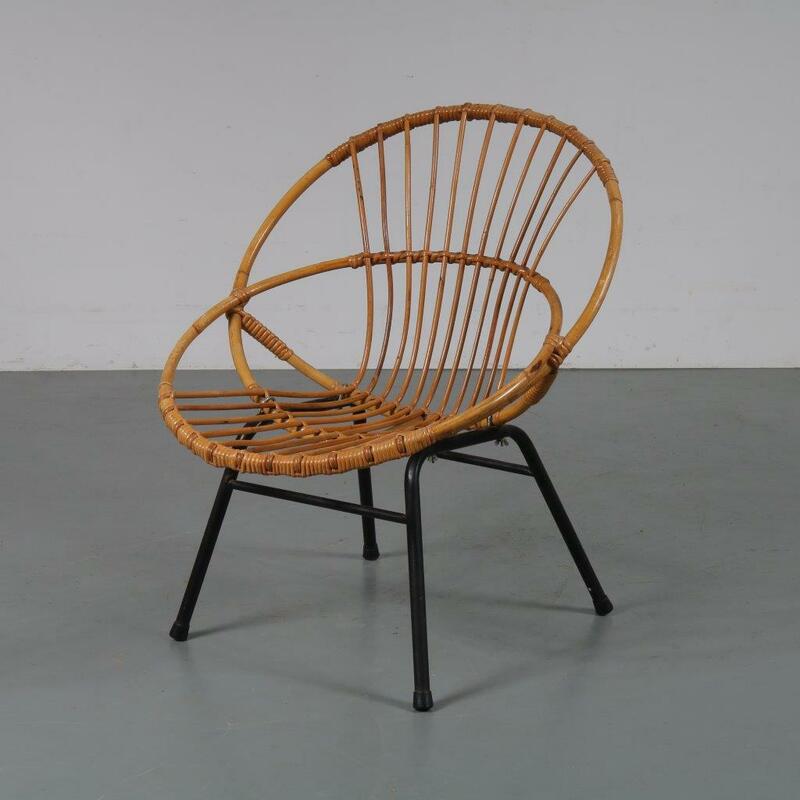 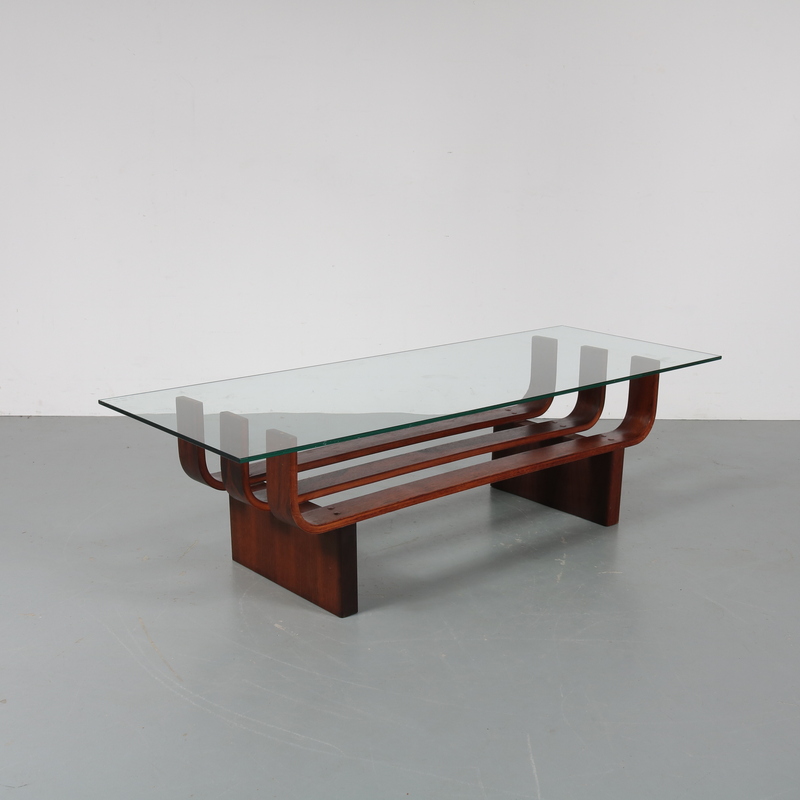 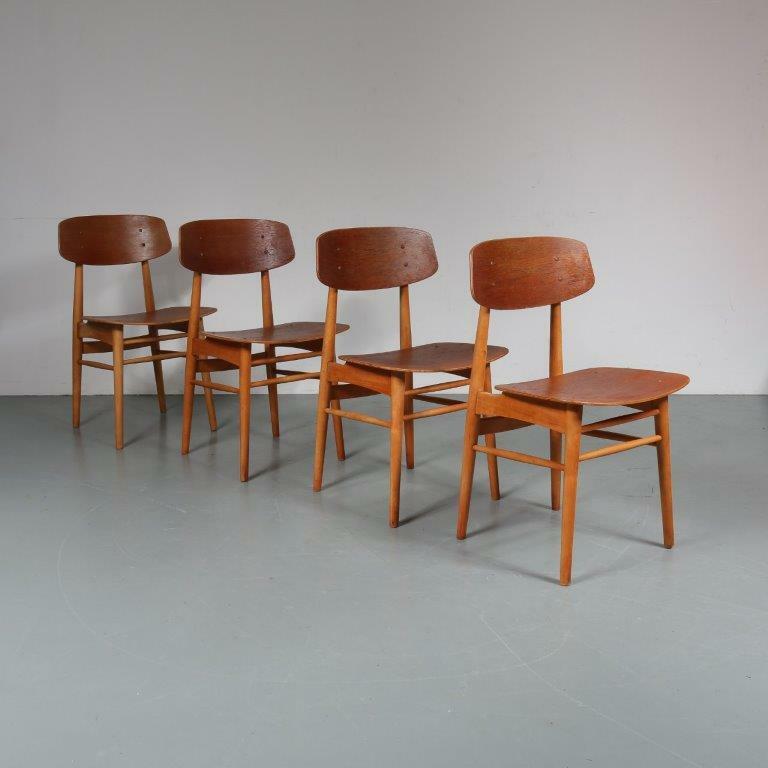 The piece remains in good vintage condition with minor wear consistent with age and use, preserving a beautiful patina.